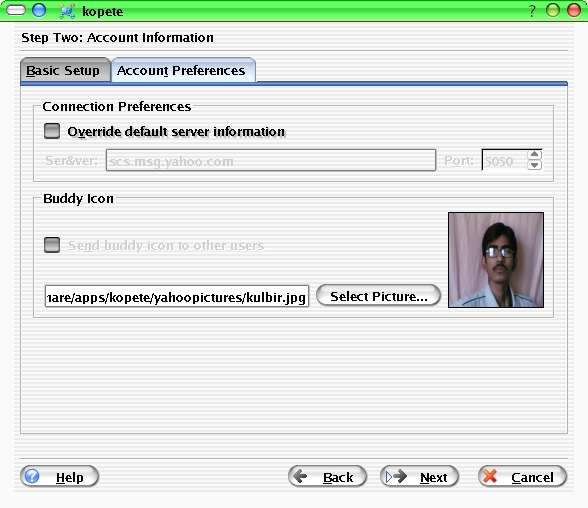 Kopete is one of the Instant Messengers available for linux and is an alternate for gaim for kde. Though the older versions were not good enough to use but the recent versions are just awesome with a good gui. Its very easy to use and it also goes to the system tray when you close it. You can logon on to yahoo, msn, google talk etc. in just one widnow, minimizing the memory usage bye the application. It asks to view or ignore whenever a new message comes from a user with you were not chatting already. 1. You have to get the latest kopete package from the sourceforge or kde official site. These should not give any errors, make and make install normally takes 15-20 minutes on an average machine. Now you are ready to use kopete if it gives any problem try to have a reboot because I faced some problem which rectified itself after a reboot. 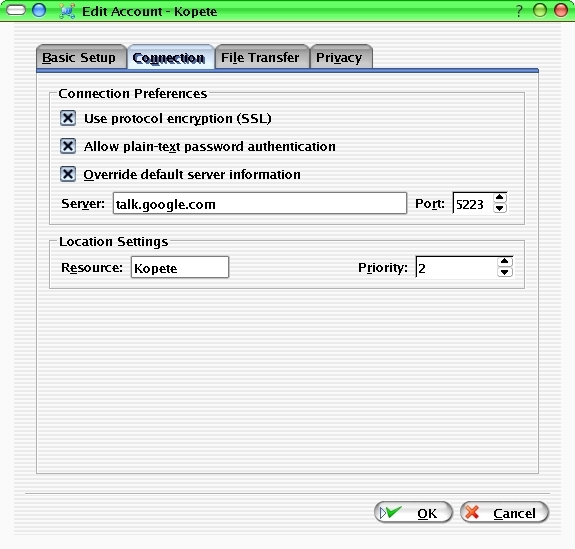 Now go to k-menu -> internet -> kopete and that it. 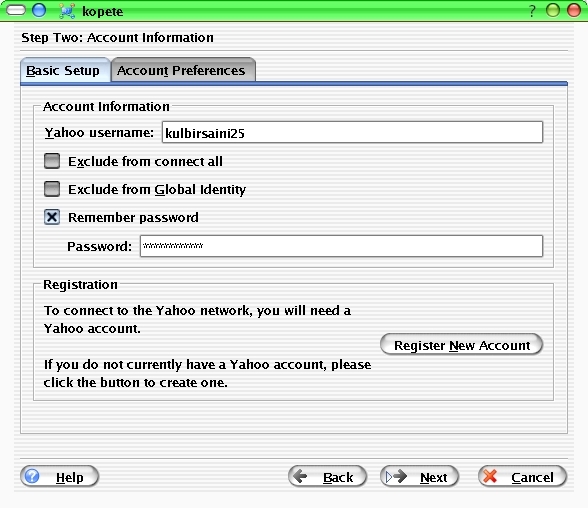 Just click next and finish and you are done with yahoo account. Similar is for the MSN Messenger, No special settings. Download the source package qca-tls-1.0.tar.bz2 from here. click next and finish and now you can connect to Google as well. If you have further suggestion, please leave a comment. 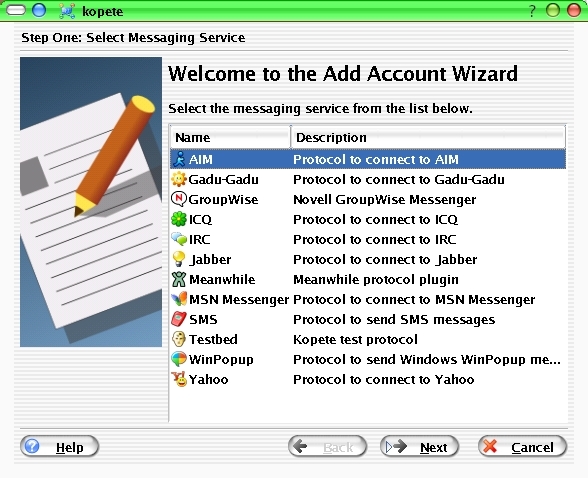 Though the pcs in the labs are not having any support for applications except terminal or command line, Linux version of yahoo messenger can be opened there. This is a step by step procedure. 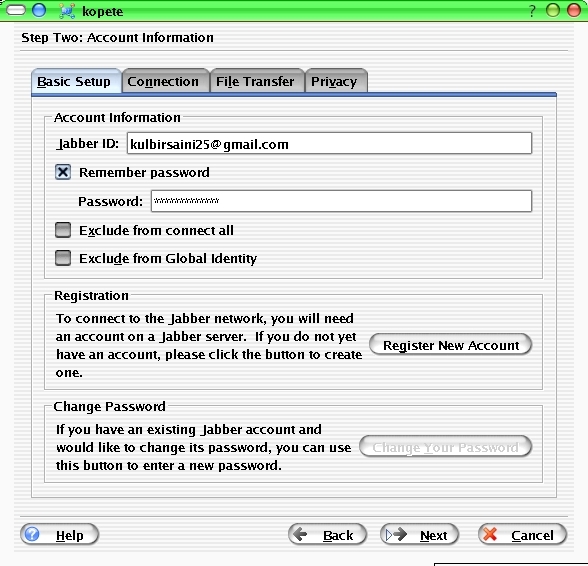 Open two terminals and through one of them logon on to your mirage server account because that supports the Gaim(Linux version of yahoo messenger). Now I will call the terminal in which you are logged into mirage as remote machine and the terminal of the machine at which you are working as local machine. At your local machine execute these commands. The messege displayed above should appear otherwise you may have problems. The address against inet_addr in 3rd line is the IP address of your local machine. If no error comes, means things are going fine. Now also if no error comes and a new teminal appears then you are ready to open the gaim. 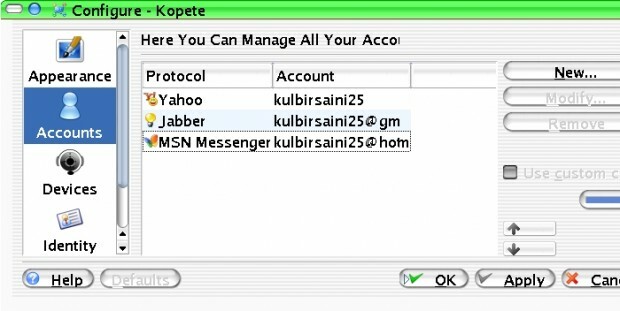 yahoo messenger will appear and now you are ready to chat.